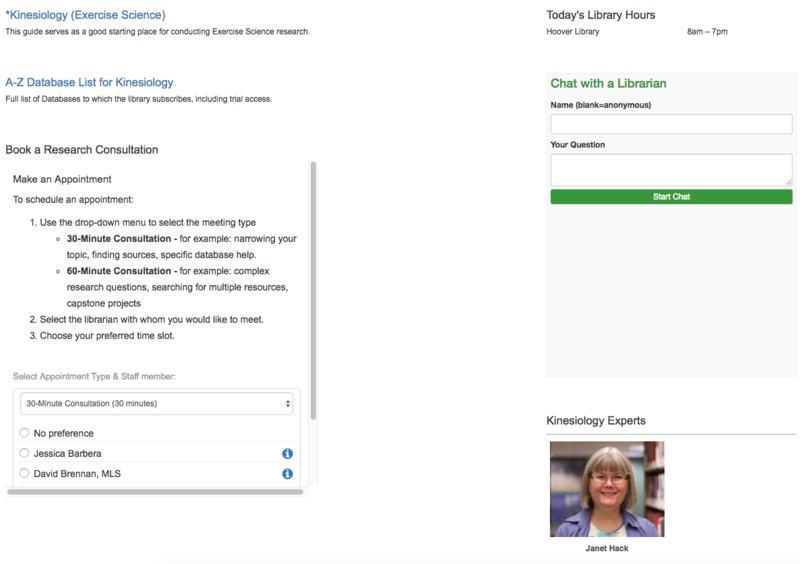 Beginning in 2018, a new Library Resources tool will be automatically added to all Blackboard course shells. 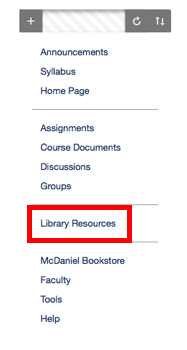 If you have requested a course guide, this will be included instead of the subject-specific research help guide. If you are teaching a multi-disciplinary course and would like more than one subject guide to be included, please contact Janet Hack, jhack@mcdaniel.edu. The tool also includes our chat widget and appointment scheduler so students can get personalized help when they need it. Let us know if you have any suggestions for resources to include on the Library Resources tool. Please send all suggestions to Janet Hack, jhack@mcdaniel.edu.